There’s just not a lot of stability in the Cubs’ prospect list anymore. When it comes to 2019, I have three or four names in the back of my mind who could be the Cubs’ number one prospect a year from now. 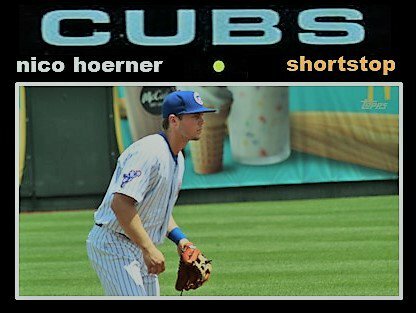 This year‘s number one prospect, Nico Hoerner, will most likely be that guy unless he somehow ends up in Chicago. Miguel Amaya is another prospect who could continue to develop into a top-flight home run hitting catcher. Outfielder Cole Roederer is a possible five tool guy who could rise quickly. And Brennen Davis might be a player who has the skills to find his way up to the top of the list. I’m never quite sure who’s going to break out, who might improve, and who could have a bad year. Most of the movement on the list in 2019 is going to come from guys playing in Arizona, Eugene, and, to begin the year, South Bend. There will be a lot of competition for spots on those rosters. A year from now, the Cubs will probably not be a bottom five minor-league system. A lot of that upward movement will be due to the young guys I just mentioned and the players the Cubs obtain in the upcoming draft and international free agency on July 2. This list has been pretty volatile the past couple years. It should be that way again this year. As a result, I don’t plan on redoing the list often. My plan is to make some changes right after the draft. If someone takes off between now and then, the list could change then. The most interesting trend I’m seeing in prospect rankings this off-season is the rise of Cole Roederer and Brennen Davis. I have been hesitant to rank them in the top 10 because I have not seen them play. Outside of short video clips, all I have to go on Is what other people say. I’m looking forward to seeing them at either Eugene or South Bend to begin next season. In the meantime, here is this winter’s top 21 list prospect list.